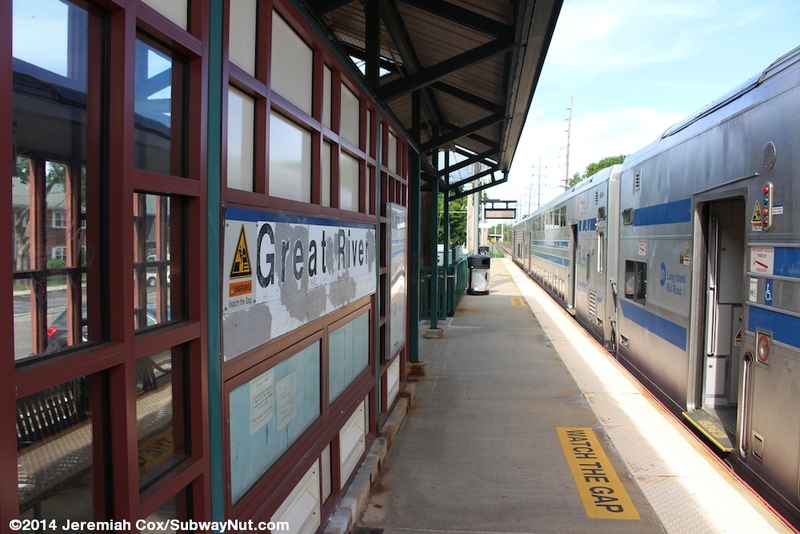 Great River is a simple intermediate stop on the Montauk Branch. 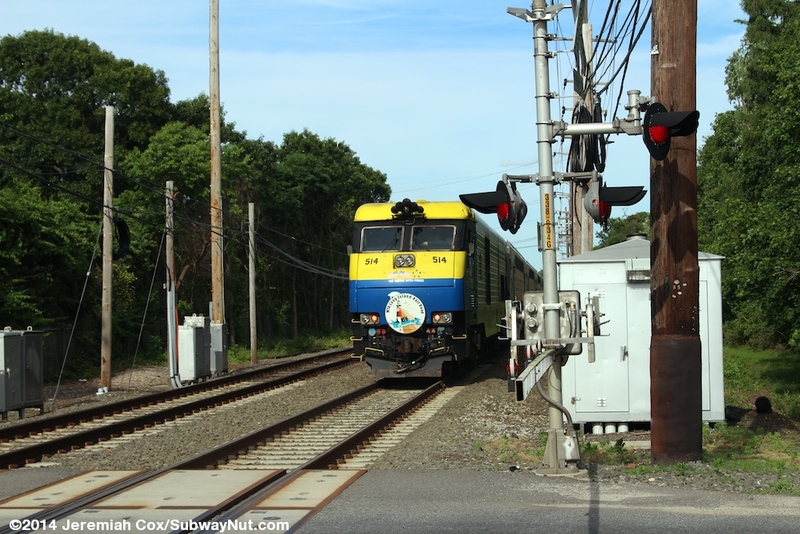 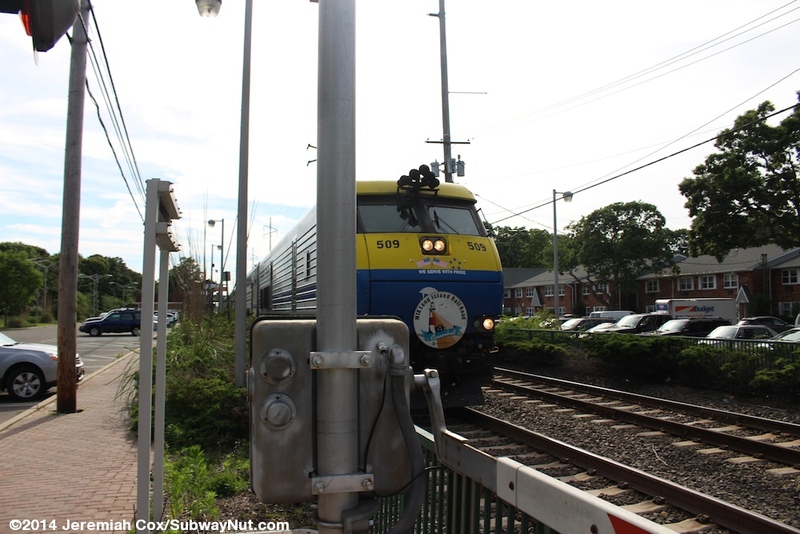 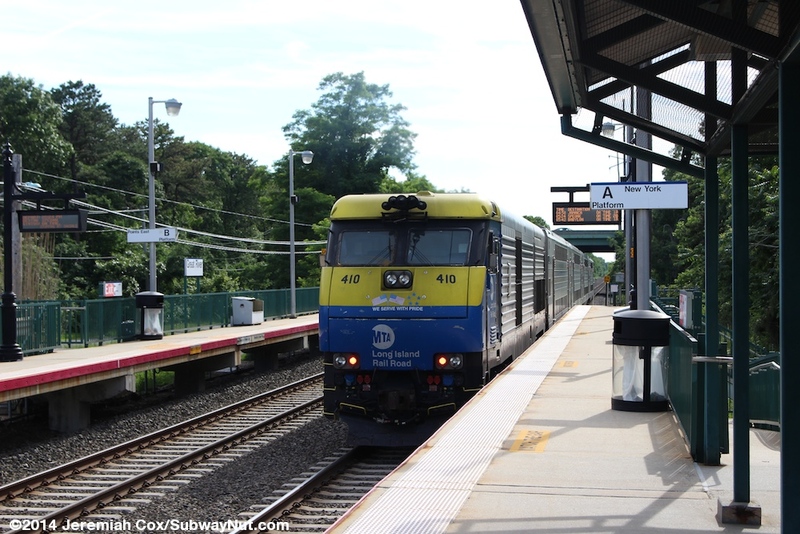 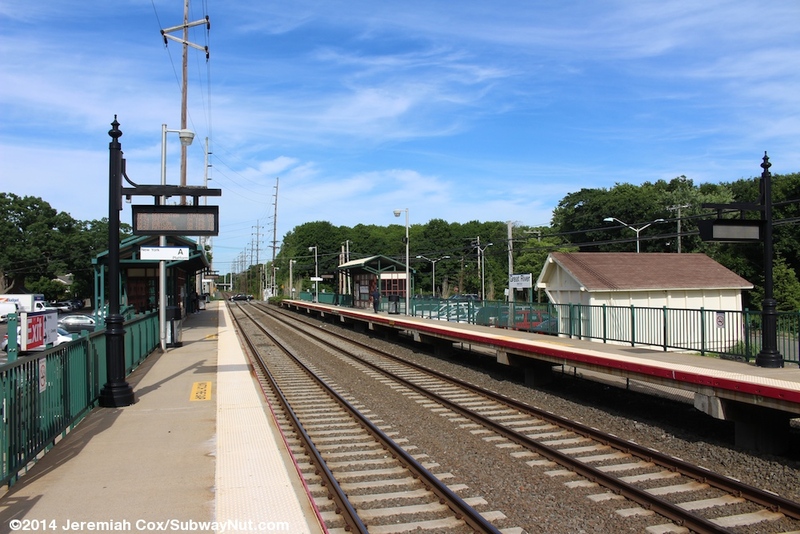 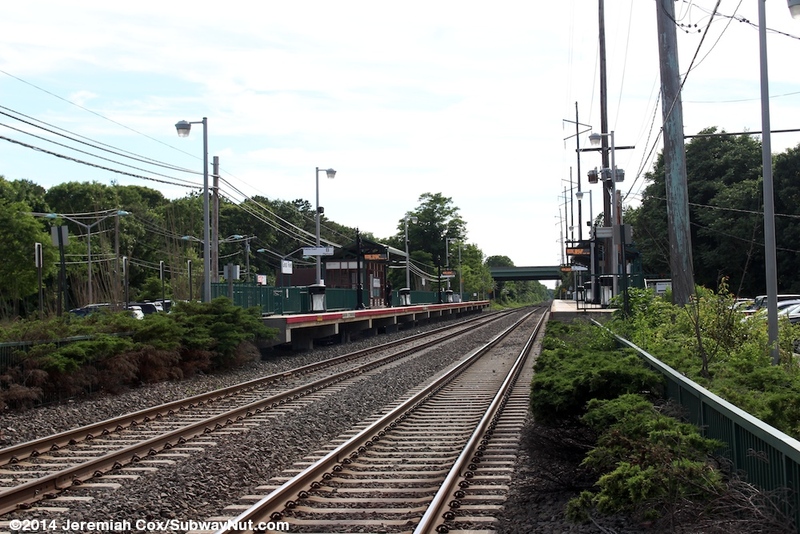 It is bypassed by all the express trains going the full distance to and from Montauk except for the couple of trips that make all local stops after Babylon. 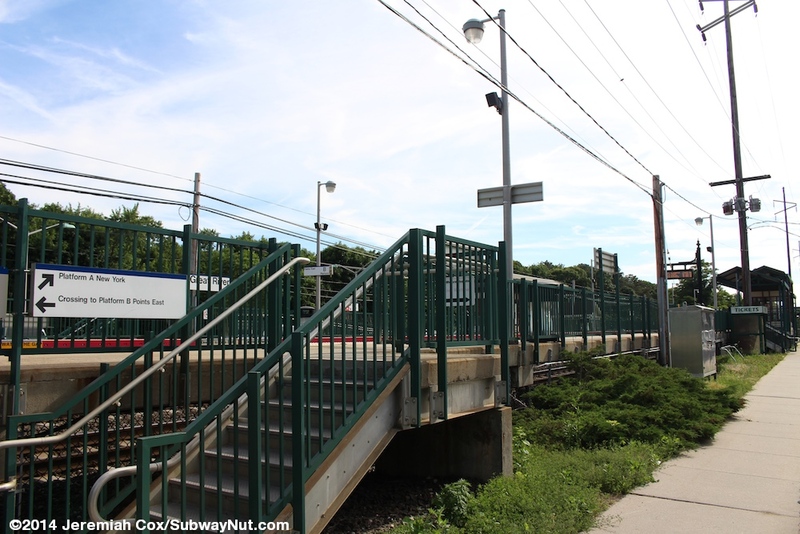 The station is extremely simple with two four-car high-level side platforms for the two-track line built in about 2000. 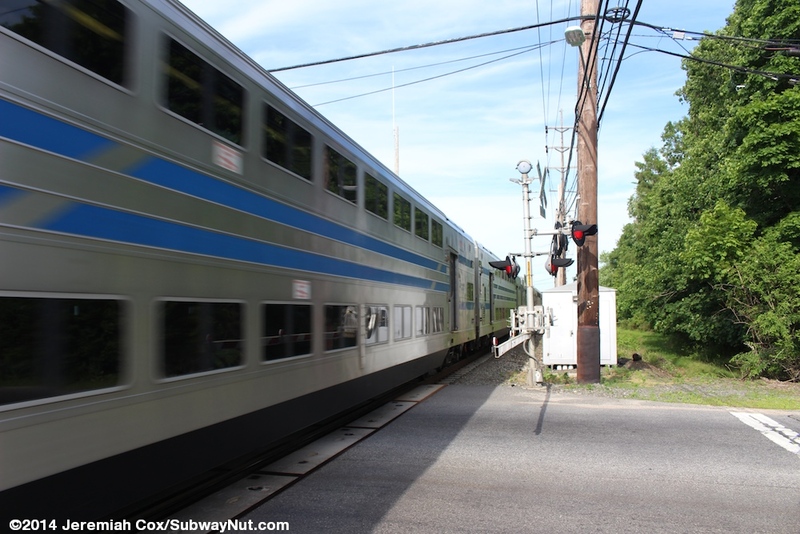 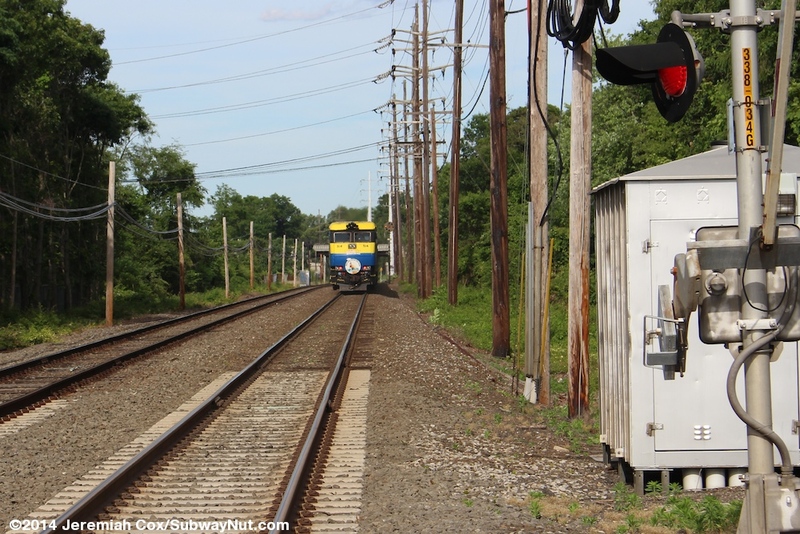 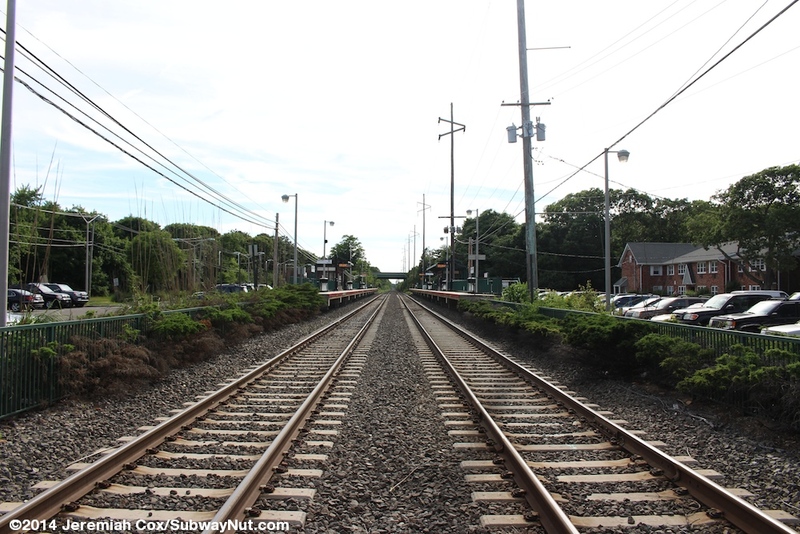 These are each a short ways (maybe 100 feet) west of the grade crossing of Connequot Avenue that provides the only connection between the platform. 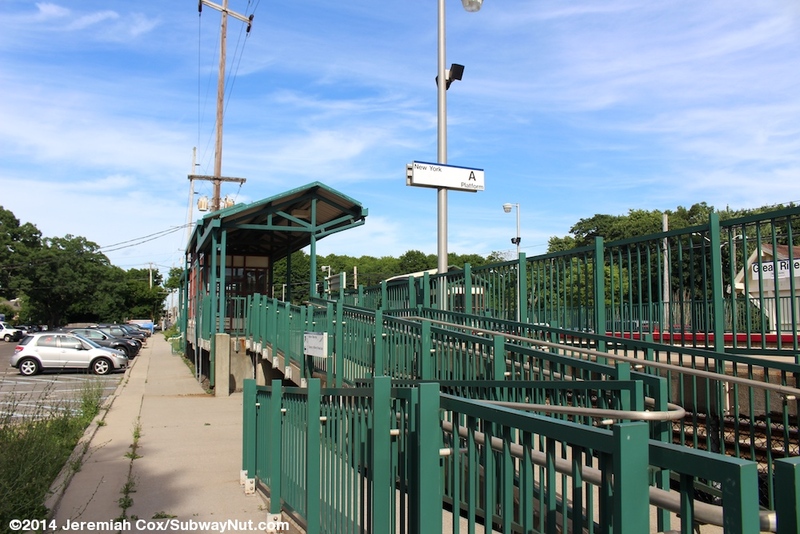 Each platform has turquoise railings and a single shelter, nearly fully enclosed by maroon and cream colored windscreens. 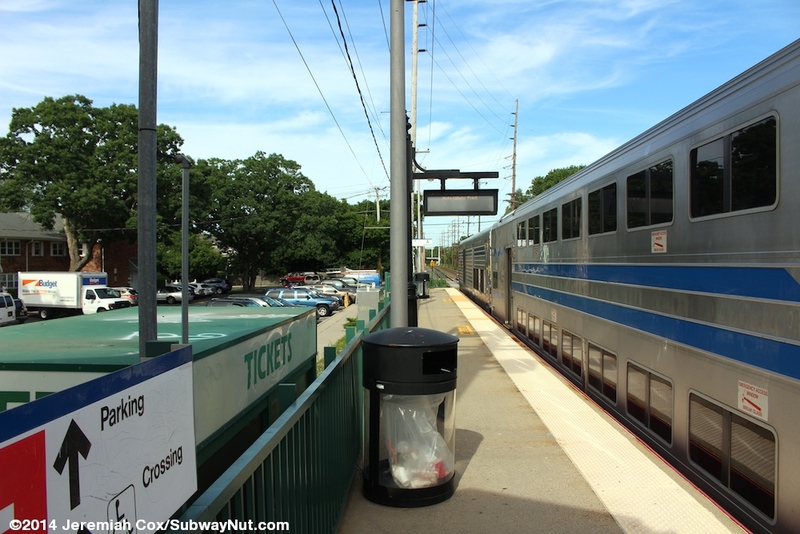 Platform signs are a height that is taller than regular signs with space to add a secondary name but this area is blank and white. 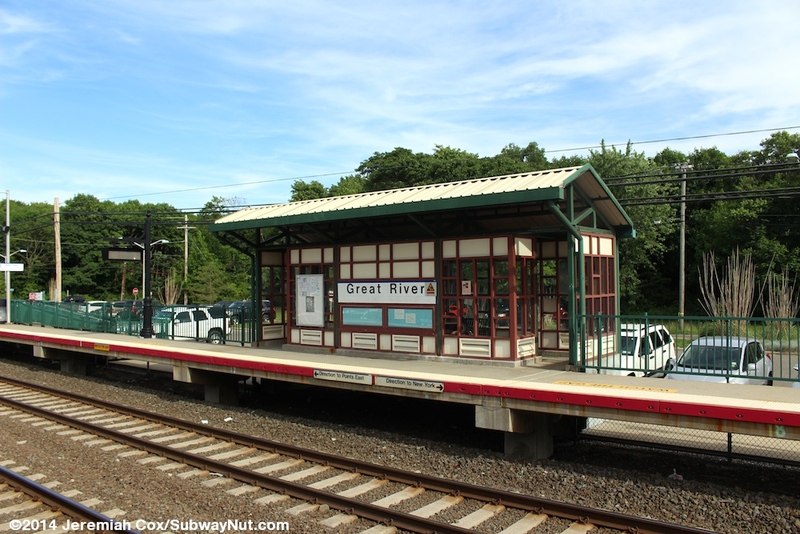 Each has a bench inside, the only one for waiting passengers. 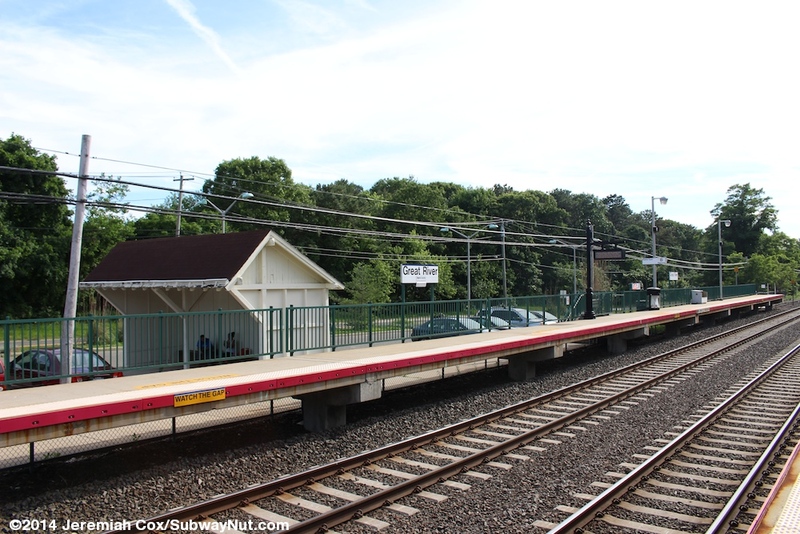 On the Montauk-bound platform a canopy only covers the windscreened area. 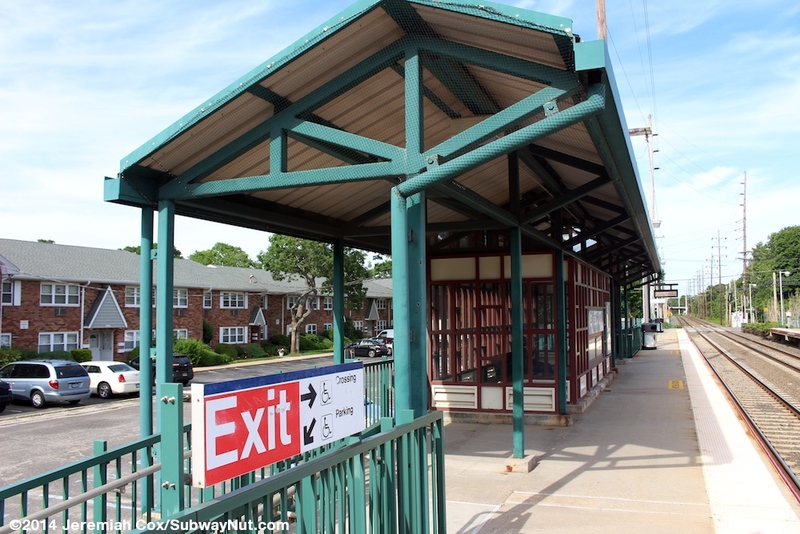 On the New York-bound platform this canopy extends slightly in each direction and covers portions of the ramps off this platform. 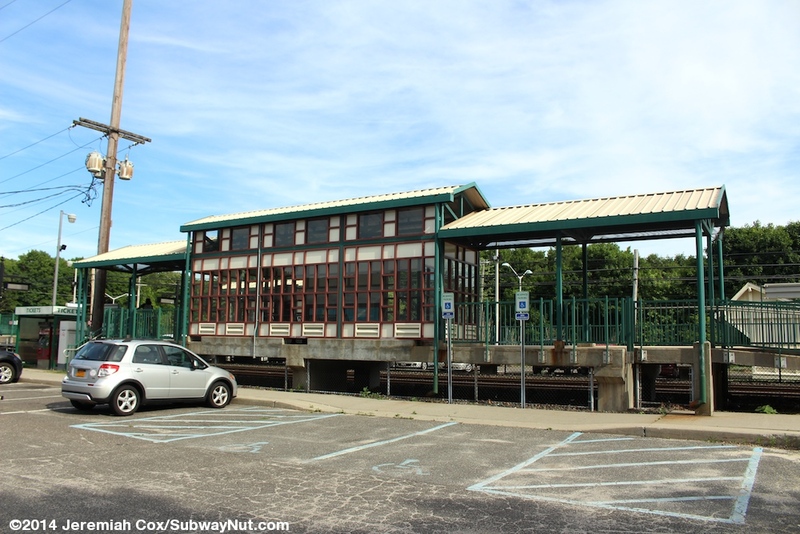 Just below the platform along the parking lot on the Montauk-bound side is a white wooden shelter with a singled, angled roof. 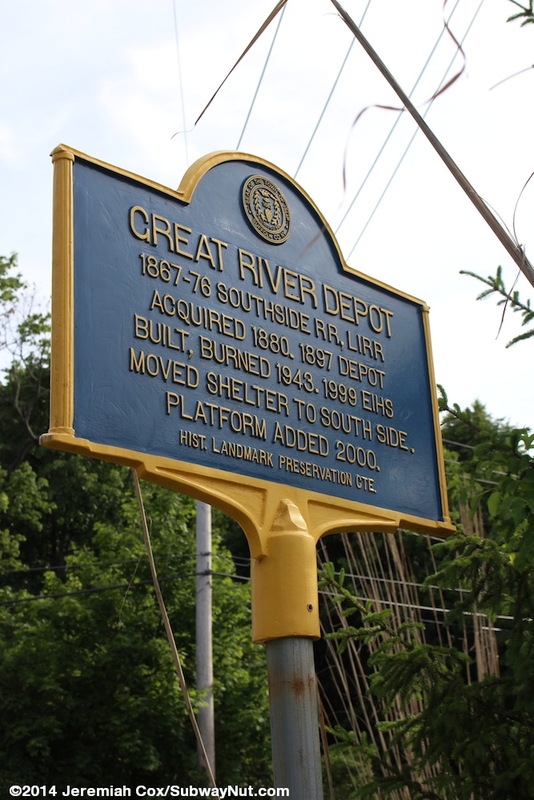 A historical sign says this shelter replaced the original depot that burned down in 1943, and was moved to the south side of the tracks in 1999 so the new high-level platforms could be built for the C3s. 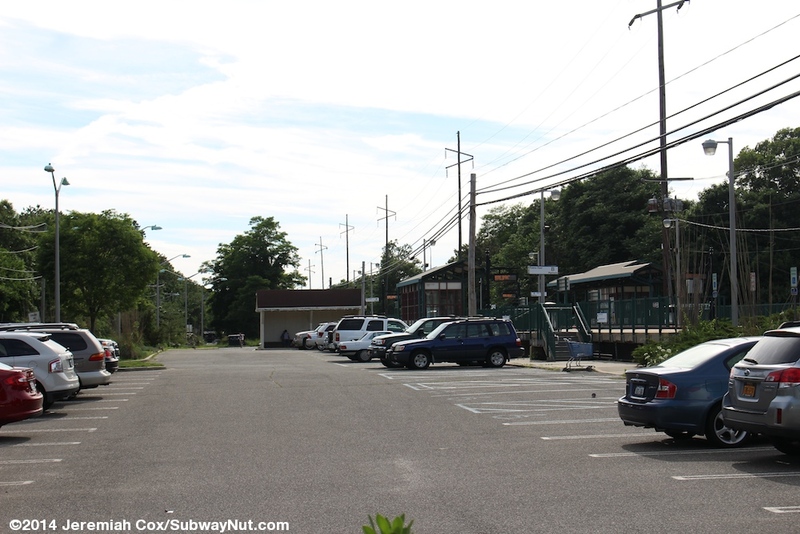 This shelter is along the small main (free and unrestricted) parking lot between this platform and parallel Hawthorne Avenue. 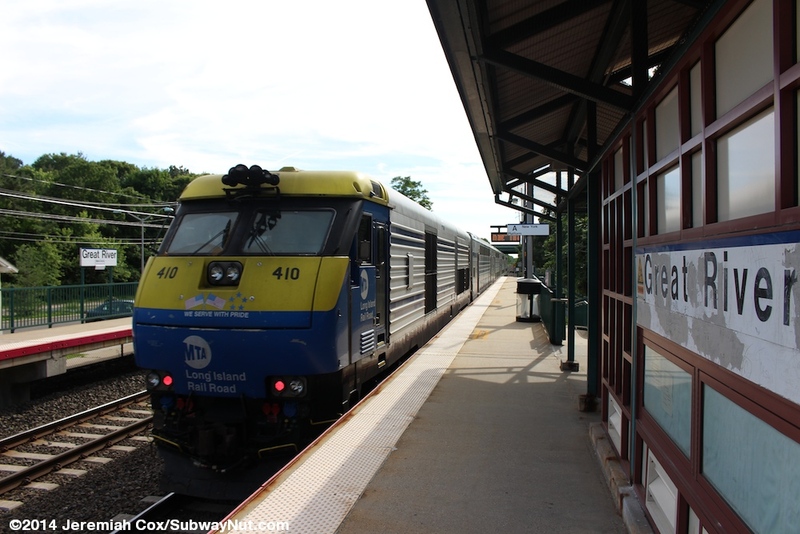 Along the New York-bound platform are a few parking spaces. 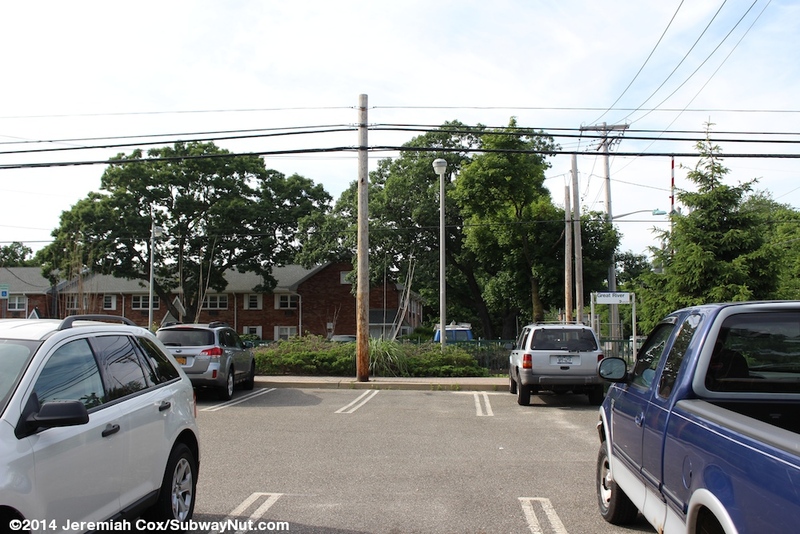 There are additional parking spaces but these are for a multi-family apartment complex (that looks out of place) across from this platform.